The Rhinoceros has been open since the fall of 1987. We offer full alcohol service, and alcohol catering within 100 air miles from our business location, within the state of Montana. 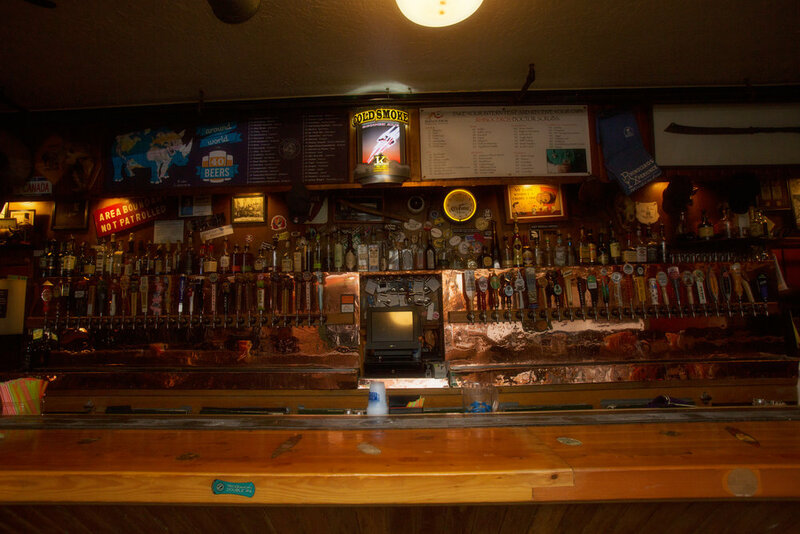 We are best known for our selection of 50 beers on tap. Including the best local, regional, and imported beer that is available. Many of the beers are limited production and hard to find. Also, we have over 50 single-malt scotches. With many cask-strength, single-cask, and limited edition options. We often offer libations that can only be found at The Rhino. The Rhinoceros has daily drink specials, and we often offer special tastings. Please contact us if you would like to be put on our events email list. In the summer we have an outdoor beer garden. We are always trying new cocktails, recipes, and other products so we can proffer the cutting-edge of spirits culture. We offer great product and service, without the snooty attitude. Please come into our local tavern and enjoy a true Montana experience.